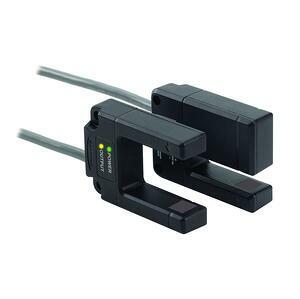 The SLM Series Slot Sensor detects objects that pass between its two arms, sensing materials as small as 0.30mm. Available in eight slot widths, the sensor’s sensitivity is easily adjustable through a single-turn potentiometer, and a visible red beam. The light/dark modes, along with the rugged IP67 metal build, make this a perfect application for an unforgiving assembly line. The PVA Series Verification Array has a range of up to 2 meters, and is enclosed within a compact package, providing accurate readings regarding the flow of objects. 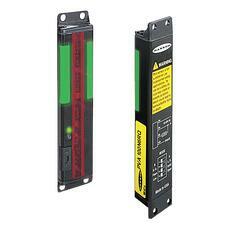 The array features a clearly visible green job indicator on either side of the emitter and receiver, allowing user action to be initiated and synchronized with the light signal. PVL Series Verification Arrays can be used as a cost-effective solution for detection and analysis of moving parts. 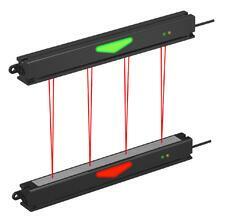 The array features easy installation with absolutely no assembly, and the alignment itself is indicated by bright red emitter beams. 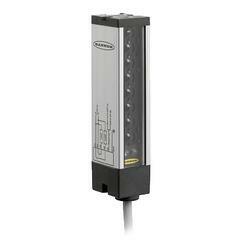 The sensor can be mounted directly to slotted ranking systems, and provide space for installation cables to enter/exit. The LX Series sensor array generates a set of infrared beams at any particular instance for reliable detection of small objects. The array is capable of responding to extremely flat objects, and issue a response within 0.8-3.2 seconds. 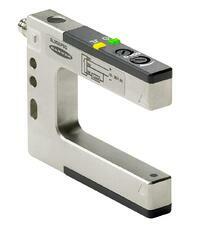 This makes it ideal for die-protection, parcel handling, and small-parts detection. The SL10 and SL 30 Series opposed-mode sensor pairs are offered in rugged U-shaped housing, and available in two models, featuring either a 10mm sensing slot or a 30mm sensing slot. The sensors come with molded-in beam, allowing simplified installation and alignment, and they offer either 4-turn manual sensitivity adjustment or push-button programming depending on the model. The increased reliability and intelligence of the sensors make them ideal for applications such as those that involve detecting registration marks, counting and gear teeth edge guiding. Whatever the application for slot sensors or part sensing arrays, Banner Engineering has the perfect product for your needs.